Corporate aircraft registers – the numbers game – The San Marino Aircraft Registry (SMAR) continues to grow and add aircraft at an ever-increasing rate. Strong customer service, eective marketing, clear rules and regulations, acceptance of crew and technical standards and attractive costs are all factors fuelling this expansion. New models underpin 2018 aircraft deliveries – The bizjet delivery figures for 2018 point to just one overwhelming conclusion – it is new aircraft models that are keeping the figures in positive territory. The most delivered aircraft in 2018 was the Cirrus SF50 Vision – a total of 63 of the very light single were handed over to customers, closely followed by the Challenger 350 with 60 deliveries and the Citation Latitude with 57. WEF 2019 – government aircraft thin on the ground – The absence of so many heads of state due to domestic issues contributed to a marked reduction in government aircraft seen on the ground in Zurich for the annual general meeting of the World Economic Forum (WEF), the gathering of top political, business and other leaders in the Swiss mountain resort of Davos. Shifting sands in the Middle East – MEBAA 2018 – Appearances can be deceptive. MEBAA 2018 – the Middle East and North Africa Business Aviation show – opened in Dubai on 10 December at a time when the bizav market in the region could at best be described as ‘brittle’. Luxaviation pulls out of EBACE and calls for change – Luxaviation, one of Europe’s largest business aviation groups with a fleet of more than 250 aircraft under management, has stated publicly that it will not be exhibiting at next year’s EBACE – Europe’s largest corporate aviation event – which is to be held in Geneva in May 2019. NBAA-BACE 2018 – “inspiring dreams for the future” – The Business Aviation Convention & Exhibition (NBAA-BACE), held at the Orange County Convention Centre and Orlando Executive Airport from 16 – 18 October, demonstrated once again that it is the world’s largest event dedicated to corporate aviation – 25,000 visitors, over 1,000 exhibitors (of which over 100 were making their BACE debut) from some 90 countries and over 100 aircraft in the extensive static display. Vista Global set up to consolidate the bizav market – Having launched Vista Global in the Dubai International Financial Centre as an “investor vehicle” that will “spearhead the consolidation of the fragmented and expanding business aviation market”, VistaJet founder and chairman Thomas Flohr announced on 20 September that it was acquiring US-based charter firm XOJet for an undisclosed amount. The Latin American market on show – LABACE 2018 – There is a “wave of renewed interest in business aviation” in Latin America, according to one industry analyst. And LABACE, the Latin American Business Aviation Conference and Exhibition held at Congonhas, São Paulo, from 15 to 17 August, sought to ride that wave. Brexit – the UK to be a ‘third country’ member of EASA? – The UK government’s White Paper on the ‘Future Relationship between the UK and the EU’, published on 12 July, answered some important questions for commercial and corporate aviation but failed to satisfy others. Isle of Man conference dominated by Brexit – The uncertainty surrounding the post-‘Brexit’ aviation relationship between the UK and the EU continued to exercise minds at the 8th annual Isle of Man Aviation Conference, held within the spectacular Edwardian grandeur of the Royal Hall in the Villa Marina complex on the Douglas seafront on 13 June. EBACE 2018 – remembering Serge Dassault and looking forward – EBACE 2018 in Geneva was dedicated to the memory of Dassault Group chairman emeritus Serge Dassault, who died at the age of 93 on the eve of the show. 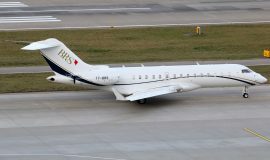 Serge Dassault, who served as CEO from 1986 to 2000, was at the forefront of diversifying the led the family firm’s interests into civil aviation and the Falcon family of corporate jets owes much of its success to his vision. Asia on show – ABACE 2018 – “This year’s ABACE, held under bright, clear skies and in new facilities, reflected the enthusiasm, growth and potential for business aviation, not just in China, but across Asia and beyond,” said National Business Aviation Association (NBAA) President and CEO Ed Bolen. He was speaking at the end of this year’s Asian Business Aviation Conference and Exhibition (ABACE), which was held in Shanghai from 17 to 19 April. on imports of US manufactured aircraft with an empty laden weight of between 15,000 and 45,000kg. This will have a signicant impact on commercial aircraft manufactured by Boeing – particularly some members of the 737 family, including the BBJ1. It will also include all current Gulfstream models with the exception of the G280. Dassault unveils new Falcon – French manufacturer Dassault Aviation has snatched positive headlines from what could have been a public relations disaster. Last December the company was forced to cancel development of the twin-jet Falcon 5X owing to the protracted and much-publicised problems with the Safran Silvercrest engines that had been lined up to power the new model. But on 28 February, Dassault’s chairman and CEO Eric Trappier unveiled a new long-range twin slated to make its rst ight in 2021 and then enter service in 2022. Bizjet traffic comes up Trumps for Davos – The 2018 annual general meeting of the World Economic Forum (WEF) in the Swiss mountain resort of Davos was the first to be attended by a sitting President of the USA since Bill Clinton hit the slopes in 2000. The appearance of ‘anti-globalist’ Donald Trump was much more of a surprise – his former strategist Steve Bannon, after all, once used the phrase “the party of Davos” as a byword for his enemies. Dassault pulls plug on Falcon 5X in favour of new project – French manufacturer Dassault announced the cancellation of its ill-fated Falcon 5X ultra-wide business jet programme on 13 December. The move followed repeated delays in the development of the Silvercrest engine by its compatriot Safran. It will however be replaced by a new Falcon model, which will be powered by the Pratt & Whitney Canada PW800. Garmin hits one million – Specialist avionics manufacturer Garmin has taken just 28 years to deliver one million certified avionics products. The milestone delivery of a GTX 3000 DO-260B transponder enabling ADS-B Out transmissions took place at the end of November. NBAA-BACE 2017 – ‘A strong, meaningful show’ – This year’s ‘National Business Aviation Association – Business Aviation Convention & Exhibition‘ (NBAA-BACE) opened in Las Vegas just 10 days after a mass shooting in the city that left some 58 people dead. Not surprisingly, security was enhanced and the mood of the show on opening day was described as “sombre but resolute”. Business aviation keeps shareholders happy! – The use of business aviation is the sign of a well-managed enterprise among America’s most highly valued and well-respected companies, according to a report called “Business Aviation and Top Performing Companies, 2017” published by NEXA Advisors. The study examined the financial performance of the S&P 500 between 2012 and 2017, and found that, over that period, S&P 500 companies utilising business aviation to support their missions outperformed those not using business aviation, as demonstrated by a number of key metrics, including drivers of shareholder value. Green shoots for Latin America? – LABACE 2017 – This year’s LABACE – the 14th Latin American Business Aviation Conference & Exhibition – could have been a gloomy affair. After all Brazil, the continent’s largest market for corporate aircraft, has continued to suffer from a contracting economy in the decade since the global financial crisis. This has been exacerbated by political instability and the currency that remains weak amid continuing uncertainty. Manufacturers – how were the rst six months for you? – The delivery gures from major aircraft original equipment manufacturers (OEMs) for the first six months of this year reflect continued ‘sluggishness’ in the marketplace. There are some encouraging signs but there are also some notable and significant falls. Only two of the five main manufacturers reported an increase in deliveries and these were very small. Isle of Man Aviation Conference flies at full capacity – The 7th Annual Isle of Man Aviation Conference, held on 22 June at the Villa Marina complex in Douglas and supported by Isle of Man Aircraft Registry, attracted 153 delegates from 13 deferent countries, representing 89 deferent companies. “Truly an Asian exhibition” – ABACE 2017 – The sixth annual Asian Business Aviation Conference & Exhibition (ABACE 2017), which was held from 11 – 13 April at Shanghai’s Hongqiao International Airport. China liberalisation and ABACE – The attention of the corporate aircraft market shifts to Shanghai and the Asian Business Aviation Conference and Exhibition (ABACE) just as the efforts by the Chinese authorities to accelerate the development of the general aviation industry are hotting up with a raft of new announcements. Flexjet launches UK fleet – Flexjet, the rapidly expanding US-based fractional specialist, unveiled the first aircraft in its new UK operation – the first of three Nextant 400XTi – on 1 March at Farnborough airport. Flexjet UK anticipates offering a fleet of up to 10 aircraft by the end of its first year of operation. Cessna Citation production shift – Textron Aviation attracted both positive and negative headlines with the release of its full 2016 results. The Wichita-based manufacturer of the Cessna Citation family delivered 178 corporate jets last year, an increase of 12 over 2015. But while 42 of these were for the latest mid-size Citation Latitudes, delivery of other models slumped. rms, are to merge their US aircraft management and charter businesses to create the largest aircraft management business in the US. cation before the next event in 2018. NBAA 2016 – vitality, activism, enthusiasm, innovation – The NBAA’s Business Aviation Convention & Exhibition (NBAA-BACE) returned to Orlando for the rst three days of November. Held at the Orange County Convention Centre and at Orlando Executive Airport (ORL), the show is simply the biggest event of its kind in the world. Iranian business aviation in the post-sanctions era – “The future of business aviation in Iran: dawn of a new era” was one of the panel discussions at the Iranian Aviation Forum held in London on 12 – 13 September, which addressed the challenges, risks and opportunities for the Iranian civil aviation industry in the post-sanctions era. LABACE 2016 battles heavy weather in Brazil – The 13th LABACE, the annual Latin American Business Aviation Conference & Exhibition opened at São Paulo Congonhas Airport just nine days after the closing ceremony of the Olympic Games in Rio de Janeiro. While the Olympics provided some memorable moments (not least for the record-breaking Team GB), the Games also reected the wider problems facing the host nation. Economic impact of business aviation in Europe – Business aviation is “a prime enabler for regional economic development” says an inuential report commissioned by the European Business Aviation Association (EBAA). The report claims that the average time saved using a corporate aviation ight is 127 minutes over a commercial service. Brexit and business aviation – The EU Single Aviation Market is the world’s largest and most successful example of regional market integration and liberalisation in air transport. So a look around the departure lounge of the Isle of Man’s Ronaldsway airport on the morning of 24 June revealed a host of shocked faces as the result of the UK’s referendum on membership of the European Union unfolded. ABACE 2016 – Excitement, enthusiasm & enduring value – EBACE (European Business Aviation Convention & Exhibition) returned to the Palexpo site adjacent to Geneva’s airport from 24 to 26 May at a time when the continent’s corporate aviation sector is once again grappling with both economic and political turbulence. ABACE 2016 – a vehicle for regional industry growth – Shanghai Hongqiao International Airport hosted the 11th Asian Business Aviation Conference and Exhibition (ABACE) from 12 to 14 April. Guernsey register enabled for commercial ops – The Channel Islands Aircraft Registry branded as “2-REG” is now permitted to issue air operator certificates (AOCs) allowing commercial operations by Guernsey-registered aircraft. The new EASA European regulations, which come into force on 25 August this year, will have a huge impact on the corporate aviation market. The Part-NCC (Non-Commercial Complex) rule will place obligations on all non-commercial operators of “complex motor-powered” aircraft – fixed wing aircraft with an MTOW in excess of 5,700kg or rotorcraft weighing above 3,175kg. 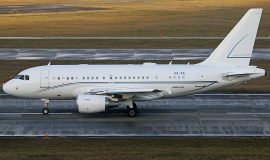 Every year we report on the large numbers of corporate and government aircraft bringing attendees to the annual general meeting of the World Economic Forum (WEF) held in the Swiss resort of Davos-Klosters. This year’s event was held from 20-23 January and, in addition to our usual coverage, we will also be looking to assess the wider impact of the increase of trac on Europe’s business aviation market. Guernsey’s parliament unanimously approved, on 17 December 2015, a proposal to permit the Channel Islands Aircraft Register (2-REG) to issue Air Operator Certificates (AOCs), The move, which will enable Guernsey registered aircraft to operate commercially, will differentiate Guernsey from competitor registries such as the Isle of Man and Jersey, which cover only aircraft operated for private or corporate use. The National Business Aviation Association’s (NBAA) Convention & Exhibition was the strongest edition of the annual show since the economic downturn. This year’s event, which returned to Las Vegas from 17-19 November, attracted some 1,100 exhibitors. The Jersey Aircraft Registry (JAR) commenced operations on 5 November. The rst aircraft, a Cessna Citation 525C CJ4, was due to be added a few days later using the new registration prex as ZJ THC. The new register is aimed at owners of corporate aircraft that will be operated in a private capacity – use for “hire and reward” is not permitted. Corporate jet nancier Global Jet Capital (GJC) announced, on 5 October, that it had agreed to purchase GE Corporate Aircraft Finance’s portfolio in the Americas. The deal, which took most industry observers by surprise, represents around $2.5 billion of net assets. It is scheduled for completion by the end of the year. LABACE remains robust despite turbulence – This year’s Latin American Business Aviation Conference and Exhibition (LABACE), held from 11-13 August at Sao Paulo’s Congonhas Airport, mirrored the fortunes of the Brazilian economy. Problems continue to stalk Bombardier – Bad news keeps coming this year for Bombardier. 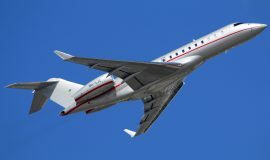 During the Q1 investor conference call in May, the Canadian manufacturer announced a slowdown in production of the Global 5000 and 6000 due to weaker demand for the aircraft. In particular it cited falls in sales in Russia, Latin America and China. “Finance, Tax, Regulation, Registration” was the tag line for this year’s Isle of Man aviation conference, which took place on 25 June in the striking setting of the ballroom of the Villa Marina complex on the seafront in Douglas, the island’s capital. Organised by ICM Aviation and supported by the Isle of Man Aircraft Registry (IOMAR), the event, now in its fth year, attracted more than 150 delegates from all over Britain, Europe and further afield. The European Business Aviation Convention & Exhibition (EBACE) celebrated its 15th birthday this year at the Palexpo Centre in Geneva. The event has grown considerably since the rst show in 2001, which attracted 3,600 people, nearly 200 exhibitors and about 30 aircraft on static display. This year’s event boasted 13,200 visitors, nearly 500 exhibitors and a static display of 58 aircraft. The HA-420 HondaJet made its world debut nearly ten years ago at EAA AirVenture at Oshkosh in July 2005. Bombardier announced a major new financing plan and shake-up in its executive ranks after posting a $1.2 billion loss for the full year 2014. Every year the annual meeting of the World Economic Forum (WEF), held in the Swiss resort of Davos-Klosters at the end of January, promises to attract increased numbers of corporate aircraft ying in connection with the event.